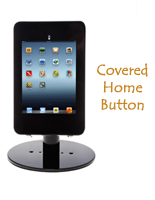 Charging Port is Able to be Accessed by Users for Continuous Power. 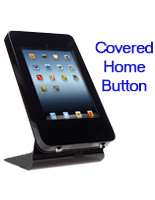 Home Button can be Covered or Exposed Depending on Orientation of the Case. 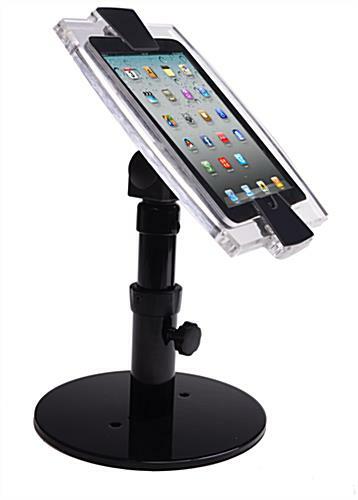 This iPad mini countertop stand employs steel for the base of the desk mount and uses clear plastic for the Apple® tablet enclosure. 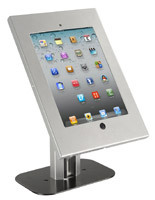 Both pieces of the display are made to be durable for long lasting use in any busy environment. 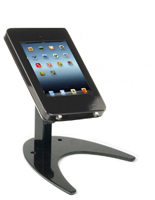 When the POS kiosk with neutral colored case and base is placed on a cash wrap, the Apple® tablet can be used to entice customers into last minute expenditures. 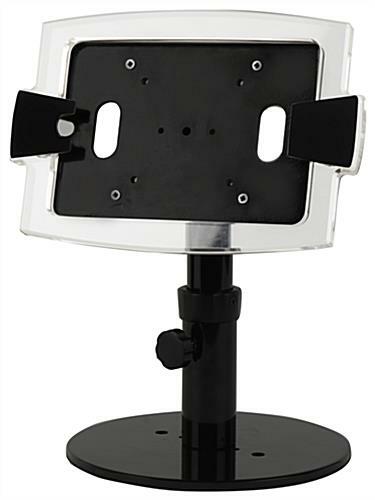 A desk mount like this one is easily attached to many different surfaces just by using the already drilled holes on either side of the flat base. 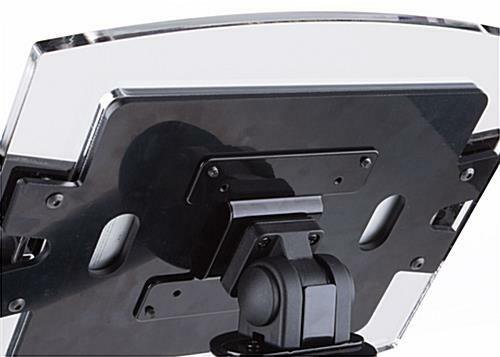 The enclosure on the POS kiosk is able to rotate and tilt its screen case to accommodate vertical and horizontal formatting and front to back views by users. 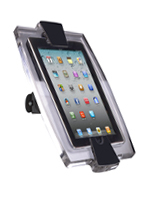 The display is further secured by an Allen Lock that comes with an included wrench or key.